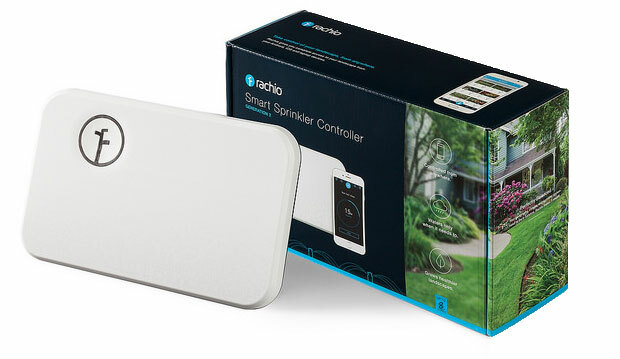 Get the most out of every drop of water – upgrade to a Rachio Smart Sprinkler Controller to take control of your watering. Rachio automatically customizes schedules for your yard, while enabling you or your Sound Irrigation technician to control watering on mobile. Reduce your water bill by up to 50%. Water only when necessary with automatic weather adjustments and smart watering technology. Control from anywhere. Use the mobile app to control your sprinklers or share remote control with your irrigation technician. Smart home integrations and voice control. Control using voice commands with Rachio’s direct integrations (Amazon Alexa, Nest, more). *Check your eligibility for an additional cost savings rebate here. Reduce your water bill by up to 50%. Water only when necessary with automatic weather adjustments and smart watering technology. Use the mobile app to control your sprinklers or share remote control with your irrigation technician. Smart home integrations and voice control. Control using voice commands with Rachio’s direct integrations (Amazon Alexa, Nest, more). Extended warranty with all Pro installations. Sound Irrigation has earned the service industry’s coveted Angie’s List Super Service Award, reflecting an exemplary year of service provided to members of the local services marketplace and consumer review site in 2014, 2015 and 2017.